I’m not really what you would call a “giver.” Let me explain. At the age of 11, I had my first job, delivering newspapers for the Seattle Times in the afternoon. 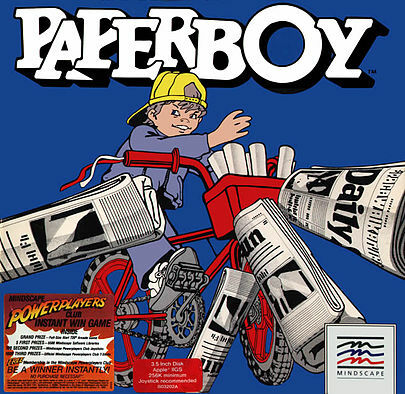 (remember the video game Paperboy? I played it…and lived it). My older brother delivered the morning paper, the Seattle Post-Intelligencer. When he went off to college, I inherited his morning route, and I got up at 4:45 each morning through my high school years, walked the route for 45 minutes, went back to bed for an hour, then went to school (insert your story of how hard you had it during childhood here). The point was this: I worked hard for that money (so I thought at the time), and it was mine. I had to go door to door to collect the monthly dues. If I remember right, I made about $100 a month. It was mine. I did what I wanted with the money. It made me feel like I had some control. I didn’t grow up poor by any means. But I do remember conversations in my family about not being able to afford things: certain Christmas presents, going out to eat, what college I would go to would all be about the financial aid package I got. Both of my parents worked, and worked hard. But all of that led to a certain attitude about money. Mine was this: it is hard to get, be careful with it, and woe be the day when you find you don’t have enough. It actually developed a fear in me that sounded (and still does) like this: What happens when we find we can’t make it? What will people think? Will they think we wasted it? 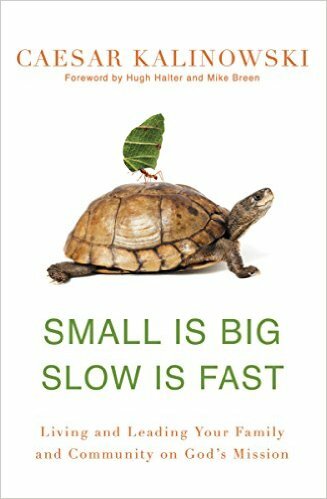 We should have worked harder? Along comes Jesus into my life, and yet this is one of the areas where he doesn’t have full control. By the way, I recently heard a good definition of what it means to be a disciple of Jesus: being led to submit more and more of our lives to Jesus (@JeffVanderstelt). I see the Bible talk about working hard, but that Jesus says be careful because money actually can become like an idol, and you can start serving it. I learn from his followers of the principle of manna: that we can learn to be content with what God has provided, because it is sufficient for today, in the same way God rained down bread from heaven when His people walked in the wilderness (plug for Caesar Kalinowski, who challenged a group of us to live by manna instead of chasing after money) (bigger plug for God, who actually did the manna thing here). I read recently that Jesus’ most repeated command in the New Testament was this: “Don’t be afraid.” (N.T. Wright, Following Jesus) I guess that should probably apply to my fear of not having enough. Beyond the Bible and books and such, perhaps the biggest influence on my life in regards to giving is my wife Kelsey. She has always been generous. With her time and talents, with our home, with her heart for her fellow women and children, and much more. And she doesn’t have the same fear I have about money. Together, we make a pretty good team. I still plan, budget, pay off debt, and worry from time to time about having enough. She does an incredible job of finding deals on everything (our whole house is basically furnished from reclaimed dumpster finds and Craigslist), and insisting that we bless others. I’ve come to love that…a lot. So while I wouldn’t necessarily call myself a “giver,” I’m learning how to be one.